Well, now. In this little scenario, you have come to a pivotal moment. Which route do you take? You start asking the sales leader some questions to better understand the problem and determine whether more training is needed or if some other intervention is more appropriate. Hopefully, you’d choose option B. Someone who chooses option A is more than likely filling the role of an “order taker” whereas a true performance consultant would choose option B. As a professional in the learning and development field, your role is the latter. Unfortunately, a lot of training managers are either uncomfortable choosing option B or lack a clear approach for carrying it out. In this article, we’ll provide some guidance to help you be a successful performance consultant. While it may seem a little uncomfortable to “challenge” a sales or commercial leader, it’s actually the right thing to do. After all, you’re both on the same side and are ultimately pursuing the same goals. Over time, an L&D team will be a lot more impactful if its team members are recognized as performance consultants who deploy resources in the most effective ways possible. In most cases, step one is take care of by the requestor. In our example above, the sales leader has identified a performance issue: Sales reps aren’t closing. Now, it’s up to the performance consultant to lead steps two through five. That extra digging might include discussions with Market Research or reviews of ATU data to see if they yield any insights. It could also include conversations with Marketing, formal or informal surveys of the field force or field managers, and possibly even ride-alongs with sales reps. The level of rigor that goes into this diagnostic process is related to the complexity and importance of the problem. It’s best to use your discretion and not go overboard. That would be a waste of resources. The point is to do enough to credibly diagnose the root cause and back up your conclusion. Sometimes, lackluster performance in the field can’t be fixed by additional training. This is why “order takers” sometimes implement training requests, only to find out later that their efforts made no difference. Assuming a training need does exist, the performance consultant must now articulate the business objectives that the training must achieve. 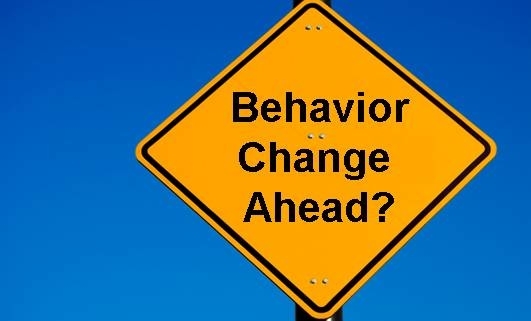 What new or improved behavior must the field force be trained to implement? Is the answer better closing skills, as the sales leader hypothesized? Or, could it be that reps need to improve their objection handling, message delivery, data presentation, competitive knowledge, or some other skill? It’s up to the performance consultant to figure it out. At this point in the process, the performance consultant has identified the performance issue, systematically diagnosed the root cause, determined that training need exists, and articulated the business objective(s) that must be met. Now, it’s time to decide what type of training intervention is needed and make the business case for it. In the business case, the performance consultant should succinctly lay out his or her findings through each of the steps above. It’s important to back up conclusions with the information collected during the diagnostic process. It’s also important to clearly layout the proposed solution, how long it will take, what it would cost, and what it would be expected to achieve. Training Leaders should be able to use the process above. They should also teach their staff how to use this process effectively. Training Leaders should act as guides and “sounding boards” as the training managers work their way through the steps. In addition, Directors should be willing to pressure-test Managers’ work and push back when necessary. In some cases when it might be too sensitive of an issue, or when politics may trump logic, you may want to consider going into the lion’s den yourself, versus sending in one of the soldiers. Or, consider going in as a team—this shows support for your team member, and highlights the importance of the request from the stakeholder. Overall, if L&D teams adopt more of a consulting approach, they will realize a series of benefits. First, their work will be more impactful and deliver more value to the company. Second, they’ll earn even more respect from their internal clients and the company, in general. Finally, each member of the team will develop themselves professionally. And that’s always a good thing.